Compare Crossover SUVs: 2018 Volkswagen Tiguan or 2018 Chevy Equinox? The 2018 VW Tiguan is all-new for 2018, packed with extra features, extra room and even an available extra row of seats! With all that added value, it just makes sense to compare the 2018 Volkswagen Tiguan against other popular crossovers. One of the best-selling in the business is the 2018 Chevrolet Equinox — but is it still the best choice for you and your family? 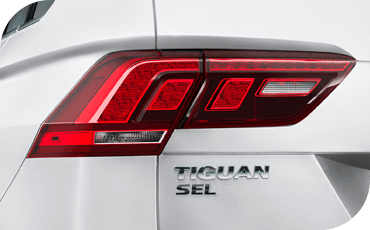 Wait until you see what's new on the 2018 VW Tiguan! You're sure to agree it's even better than its Chevy rival when it comes to performance, size and features. We've compared them side-by-side below to help you discover which model is truly right for you. You can configure your 2018 Volkswagen Tiguan as either a three-row SUV to seat up to seven, or as a two-row with a huge rear cargo area. You don't get that much flexibility from the 2018 Chevy Equinox which is a basic two-row crossover. 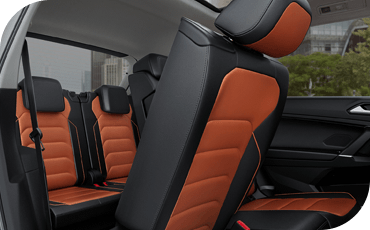 When configured to seat five like the Chevrolet, you'll get a whopping 37.6 cubic feet of cargo room behind the rear seats! The 2018 Chevy Equinox gives you just shy of 30 cubic feet of cargo volume. Both these vehicles provide a 7" touchscreen infotainment display for connecting to your smartphone, managing apps, playing music and programming available built-in navigation. 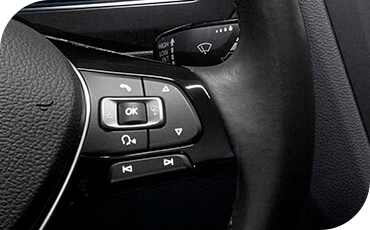 However, with the available 4MOTION® all-wheel drive system on the 2018 Volkswagen Tiguan, you can select between four different drive modes: On-road, off-road, snow and a custom mode, for maximum grip that adjusts to the conditions you're faced with. That level of sophistication isn't available on the 2018 Chevy Equinox, even with all-wheel drive. The 2018 Volkswagen Tiguan provides about 15 more horsepower as well as 15 additional lb/ft of torque compared to the base 2018 Chevy Equinox, for a more spirited drive. That power is especially handy if you plan to avail yourself of the available third row and transport seven passengers. And while the base Chevy Equinox provides a typical six-speed transmission, you'll get smoother and more precise access to power from the 2018 VW Tiguan and its standard eight-speed automatic transmission. Both these family vehicles are well-equipped to keep you and your loved ones safe. They earned the best-possible "Good" rating across the board in all crash tests performed by the Insurance Institute for Highway Safety. 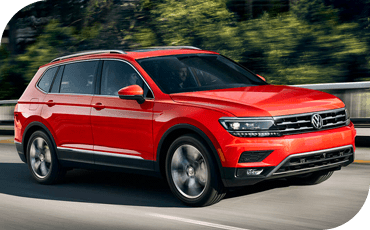 The 2018 Volkswagen Tiguan even qualified for the 2017 Top Safety Pick award from the IIHS! However, you also get peace of mind from the 2018 Volkswagen Tiguan in another way: From its superior bumper-to-bumper warranty. You'll rest easy knowing your VW Tiguan is covered by the manufacturer warranty for a full six years/72,000 miles! Chevrolet provides a typical three years/30,000 miles bumper-to-bumper warranty with the 2018 Chevy Equinox. 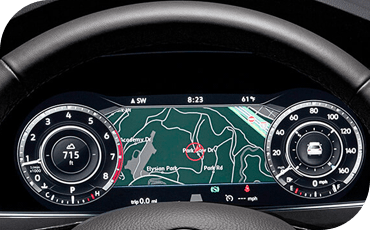 Driver assistance features like blind-spot monitoring, pre-collision braking and lane keep assist are available as optional upgrades on both these modern, sophisticated SUVs — but the 2018 Volkswagen Tiguan boasts one such feature the 2018 Chevy Equinox lacks entirely: Adaptive cruise control. This feature dynamically adjusts your speed to maintain a safe following distance between you and the car in front of you. This helps ease your commute during drive time traffic and protects you from rapid changes in the rate of traffic flow. You won't find adaptive cruise control on any 2018 Chevy Equinox.